Beautee Beauty | Malaysian Beauty Blog: ANNOUNCEMENT: Beautee Beauty First Giveaway Winner! 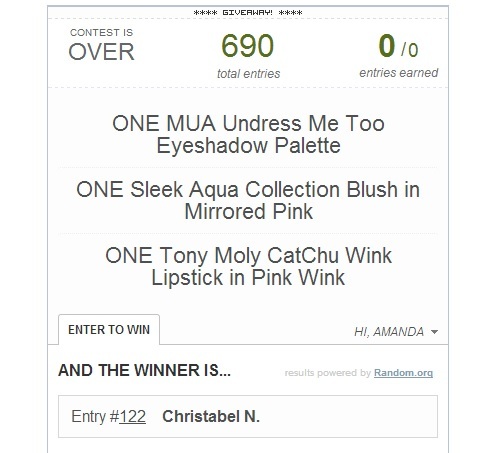 ANNOUNCEMENT: Beautee Beauty First Giveaway Winner! So I've finally managed to sift through the entries (to check if they're valid or not hehe) and then Rafflecopter randomly picked a winner for the giveaway, and the winner is........ Christabel N.!